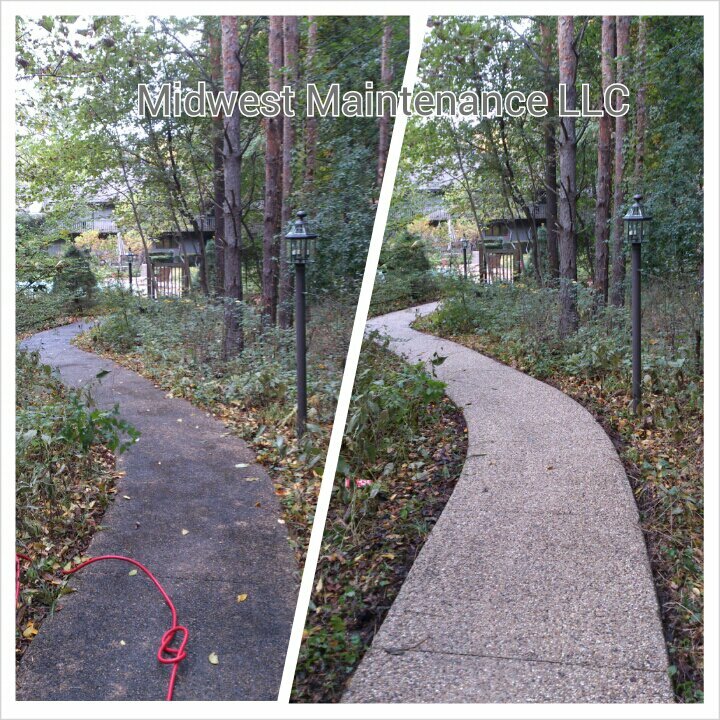 Here is a aggregate side walk through the middle of the woods. It was deeply covered in algae . The home owner was concerned about slipping when the concrete is wet. So we cleaned the concrete with hot water and the proper chemicals to restore the the concrete . The slickness of the stone was removed. Plus the concrete looks wonderful! Previous Previous post: Deck cleaning , Racine WI. Exoctic harwood restore.